Home Selling 101- Does your Home Staging have Soul? If it’s taking longer than you expected to sell your home the truth of the matter is that your home is either overpriced or it doesn’t stand out in comparison to the competition. Both home sellers and real estate professionals are employing extra home selling help by hiring a Home Stager to give them every advantage in the current real estate market. Home Staging has become a familiar term. It means arranging your home in a de-personalized and visually appealing manner. The problem I’ve seen with a number of staged homes is that they look over decorated and contrived. Simply put, they don’t have soul. If you haven’t gotten an offer after eight showings and your home is competitively priced, odds are that your home is lacking soul. Buying a home is an emotional decision. The way that a buyer feels in your home is key to selling your home. The secret to really great home staging is being able to create soul. How you ask? By creating a warm and comfortable atmosphere. An atmosphere that a buyer feels relaxed in. Your home should look like a model home or a pricey hotel room, but with more warmth. Attention to every detail is vital! You can usually find good examples of soulful rooms in Better Homes and Gardens Magazine and O magazine. 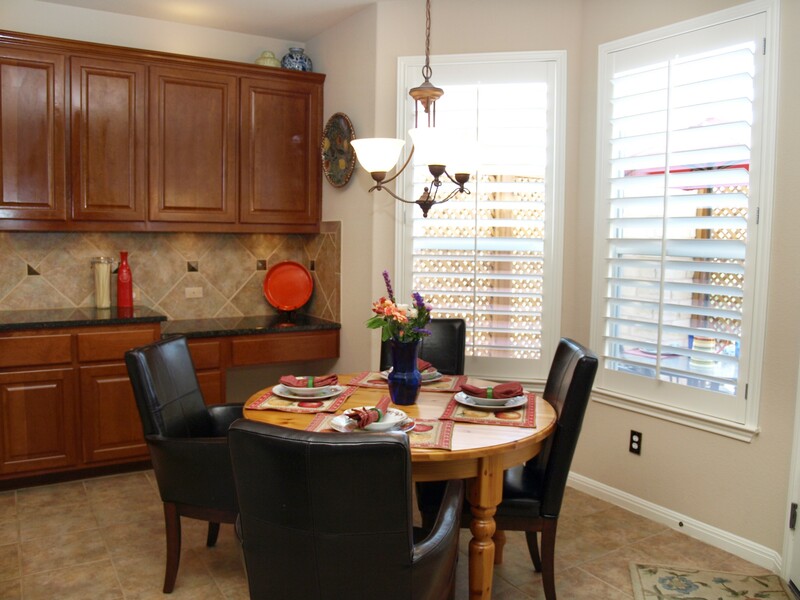 Why bother staging if you’re not able to trigger an emotional response from a potential buyer? If buyers don’t get the warm, fuzzy feeling that they need in order to commit to buying your home you won’t be able to sell it or you’ll have to lower your price beyond your comfort level. 1- Don’t paint everything white! If you’re going to re-paint, pick warm beige like Benjamin Moore’s Barely Beige or a light creamy yellow. 2- Add fire and earth colors where you can. Adding decorative pillows, throw blankets, artwork, and area rugs in fire and earth colors are a great way to add coziness. Earth and fire colors are beige, yellow, red, terracotta, and orange. 3- Add visually stimulating patterns in the accessories like swirls, waves, and diagonal lines. 5- Add soft table lighting where possible and don’t use flourescent lights. 6- Play smooth jazz or other soothing music when you have showings. 7- Avoid placing too many silk plants around your home. I’ve seen lots of sellers with lots of silk plants on the top of the cabinets which look too staged. 8- A soulful scent like cinnamon or bread baking is perfect when showing a home. Pop some instant pastries into the oven and bake 30 minutes before a showing. 9- Place things that can create positive emotions in buyers like cheerful table settings, a welcoming front door mat, whimsical switch plate covers and fresh flowers or a small herb garden in a special area. 10- Create vignettes in the master bedroom, kitchen, and outdoor seating areas which perk a buyer’s imagination. For example, create a spa-feeling in the master bath, an incredibly comfy looking bed, accoutrements for a gourmet kitchen and a remarkably cozy outdoor lounging area with magazines and a small bubbling fountain. For More Information or Questions about Home Staging, please email me elizabeth@designforprosperity or leave a reply here. Selling your home? If you look at it as product for sale and not as your home, you’re more likely sell it quickly and profitably. Why? Because you’ll be able to detach from thinking of it as yours. You can then remove personal items and arrange your home to attract the widest amount of buyers. And don’t worry, you can bring all the great memories and personal items to your next home! The key to effective staging is for you to detach from thinking of your home as your home and instead think of it as a product to be sold. 1- Walk up to your front door. Open it. What’s the first thing you see? That’s what prospective buyers will see when they open the door. It’s their first impression. It can’t be changed. Make sure what you see is not cracked, crooked, worn, smelly, dirty, or personal. In other words, no chipped paint, ill-placed artwork, tattered carpet, flowers in need of a water change, smudges on the mirror, or photos of your last family reunion. 2- How much natural light does your home have? Homes with lots of natural light sell quicker and at a higher price because people feel more energized and comfortable in the space. Make sure that all window treatments are open except if there’s an obvious unsightly scene outside. Turn on all the lights when you have a showing but avoid using flourescent lights unless you don’t have other options. If you’ve got a dark house you create more light by painting the interior walls yellow, cream or beige. And remove all clutter and superfluous furniture. Add accessories in these colors: red, bright orange and yellow. If it’s practical, install sky tubes which allow natural light from above and are less expensive than sky lights. 3- Can you navigate easily through rooms and hallways? 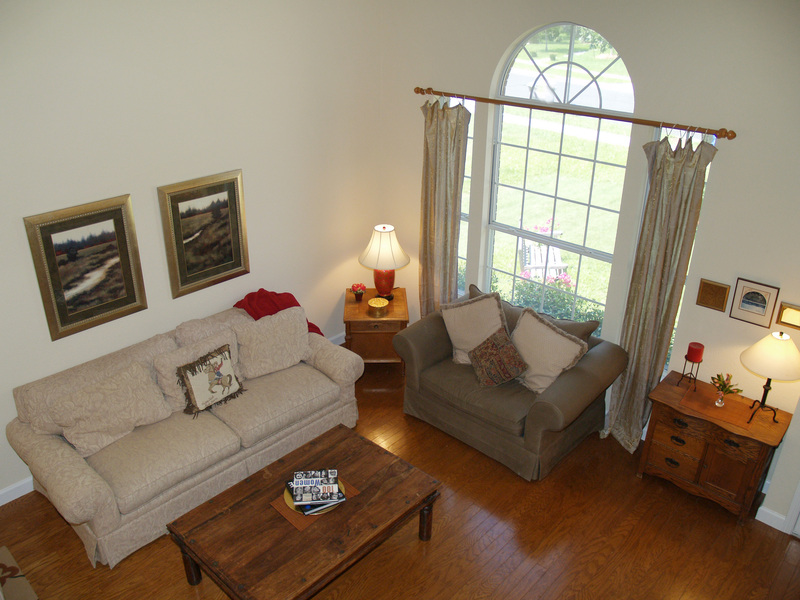 The furniture arrangement in each room must allow for lots of room and for ease when walking through the space. Remember that buyers are going to check out every room and will usually open closets. Make sure it’s easy for them to get there. You may have to rearrange furniture, but do what you need to in order create a good traffic flow through the space. 4- By now most people know that personal family photos should not be on display when showing your home. But that’s not all. Remove animal skulls, deer antlers, animal-skin rugs, bones, mounted fish, photos of mounted fish, and anything else that’s no longer with us. You don’t want to turn off anyone that has an aversion to these type of dead things. Also trophies, swords, knives, and aggressive images are best removed. Conversely, religious icons should be put away prior to showing your home. You don’t want to limit buyers who may have judgments against certain religions. 5- In each room, look up and look down, open all closets and cabinets and assess the dirt situation. 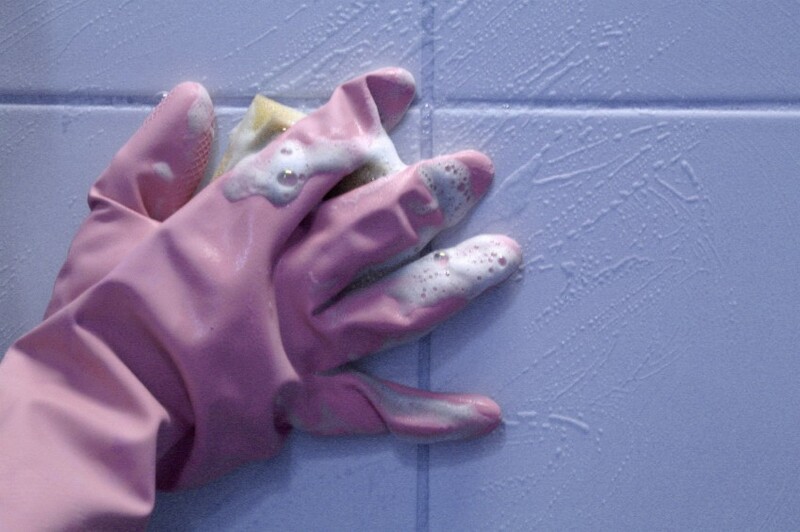 Then clean, scrub, vacuum, polish, dust, wipe, sweep, and deodorize as necessary. No time? Hire a cleaning service to do it for you. It’s very important that buyers feel immediately comfortable in the house. Picture yourself checking into a hotel and finding dust bunnies under the bed or fingerprints on the mirror. It leaves a bad impression and you don’t feel comfortable. The same principle applies here. Good luck with selling your home and remember that these tips can be used even if you’re not selling your home. They’re good Feng Shui! Six Feng Shui Home Staging Secrets for Adding Irresistible Appeal when Selling your Home. If you’re selling your home in the current real estate market whether here in Austin Texas or another part of the country, the more you do to make it stand out from other homes on the market, the better. More than selling four walls and roof, you are selling the possibility of a more fulfilling, inspired life. Attention to detail is crucial in creating warmth and coziness, which creates comfort in the buyer. Here are six relatively inexpensive things I do when preparing a client’s home for sale based on the principles of Feng Shui. 1- Place new flower pots with colorful flowers on each side of the front door and flower boxes on the porch (if practical). Buyers are going to form the very important first-impression before they even walk into your home. There’s no way to change a first impression. Ensure that everything they see on the way inside your home looks healthy and pretty. 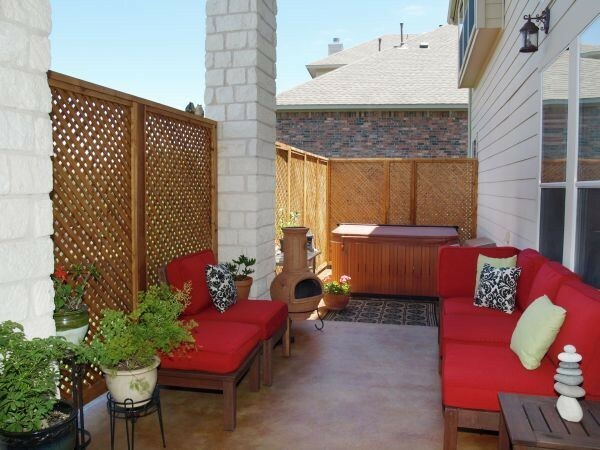 2 – Create a seating area on the porch with a chair (or two) and a table, an outdoor rug, and colorful seat cushions. For a little extra effort, hang a porch-swing. 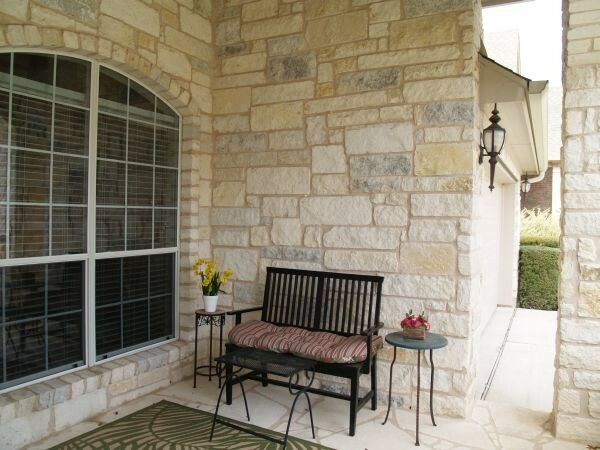 Creating a sitting area creates instant comfort and allows buyers to imagine relaxing on the porch. It’s important to create areas that lend themselves to a buyer’s imagination. 3- Buy a new, colorful, heavy-weight front door mat. The front door is important and nothing says “I’m not a well-cared for home” more than an old and faded doormat. 4- Install a few upgraded outlet covers in high visibility areas. You’ll add instant charm and character with a sophisticated or whimsical electrical switch outlet. It gives the impression of extra care you’ve taken with your home and it gives your home unique appeal. 5- Place magazines like Architectural Digest, Dwell, and Gourmet on your bed or on an outdoor seating area. Publications associated with home or relaxing are best (travel magazines are great too) in order to create an idea of relaxing and creating a more fulfilling life. Buyers aren’t just buying a home, they are buying the dream of a creating a happier life. 6- Place an accessory with an uplifting saying on it where buyers can see it. I’ve used river rocks that say “patience” and “trust,” a wood cut-out that says “happiness” and a plaque that says “love is spoken here.” Adding nurturing sentiments can trigger a buyer’s feeling of relaxation and okay-ness. When a buyer feels relaxed and inspired in a house, they are much more likely to buy it. Why use a Realtor to Sell your Home? Thinking of selling your home yourself? Know the facts before before making that decision. 1) The median selling price in Texas for homes sold without a Realtor® is 17% lower than homes sold with a Realtor®. Buyers are knowledgeable and intelligent. They know they can buy your home for the price you are quoting… less the commission! Even subtracting a 6% commission, you’re more likely to net more by using a Realtor®. The result is that you do all the work and end up with the same or even less proceeds than by using an agent. 2) Can you market it to the right buyers? The amount of exposure to buyers is significantly greater when you use an agent. Advertising your home and getting the word out to the top producing Realtors® in the first two weeks of listing it is crucial to getting the most amount of money for your home. Selling price inevitably lowers the longer the home sits on the market. Home sellers don’t have access to all the opportunities that are available to Realtors®. 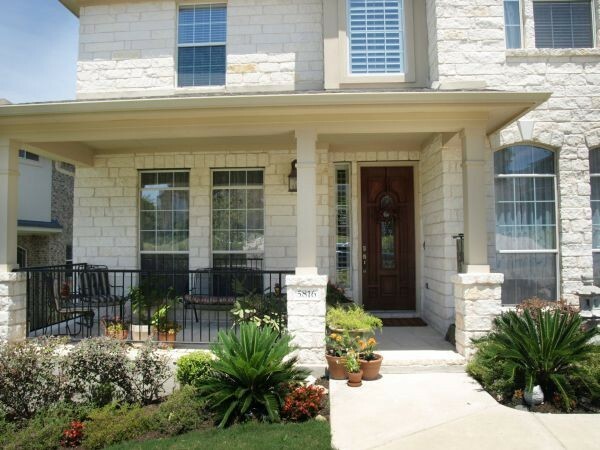 Did you know that the Travis County MLS system exposes property to 7,000 agents in 11 counties? 3) Most homes sold by licensed Realtors® sell quicker. The first two weeks your home is on the market is crucial. Having it staged correctly and having an effective marketing plan in place can greatly lessen the time the home is on the market. Did you know that 90% of “For Sale by Owner” sellers actually end up hiring a Realtor® to sell their home? 4) Finding a Realtor® that’s going to give you exceptional service will be invaluable in protecting your interests legally and will save you significant time and energy. A good agent can help you by answering phone calls, arranging times to show your home, negotiating on your behalf, getting your home ready to show, providing handymen and vendors, and ensuring that your interests are protected. 5) Many agents steer their home buyers away from For Sale By Owner sellers because they don’t feel comfortable entering their buyers into a transaction in which the sellers may not have the proper representation and knowledge to execute the transaction. 6) An agent can pre-qualify a buyer thereby saving you the experience of finding out 30 days after you’ve accepted the offer that the buyer doesn’t actually qualify to buy your home. 7) The typical real estate transaction uses seven (7) forms designed to protect all parties in the transaction. The correct utilization of these forms is vital to the success of the transaction and your protection. For Sale by Owner transactions incur a significantly greater amount of lawsuits than Realtor® to Realtor® transactions. 8) There’s a lot to coordinate and it’s a big responsibility. Besides being available to show your home, you’ll need to coordinate home inspections, special repair issues, closing documents, and meetings. You are also liable if anyone gets hurt while viewing your home. You may not realize all the nuts and bolts you’ll need to deal with in a sale. You’ll need the most up-to-date and comprehensive information to shield you from possible litigation. Ten Easy Ways to Create a Great First Impression when Selling your Home. Selling your home? Did you know that it takes a home buyer only ten seconds to form a first impression? Ensure your home creates a positive first impression and makes a buyer happy by applying these ten simple suggestions based on art and science of Feng Shui. It’s your attention to the details that will help your home outshine the competition. The front door and door mat greatly influence a buyer's first impression of your home. 1- Remove dead plants in the front yard. 2- Add colorful flowers to flower beds or plant flowers in terracotta pots and place in sparse areas of your yard. 3- When looking at the front yard from the street, ensure that each side of the yard is balanced with landscaping or yard furniture. 4- Keep your pathway free of debris. Sweep daily. 5- Keep the front door sparkling clean and repaint it if necessary. 7- Potted flowers on each side of the doorway are welcoming but ensure that the leaves are rounded…no cactus! 8- Wipe off patio furniture daily and remove cobwebs from underneath overhangs. 9-Powerwash your home if practical. 10- A yard ornament with a cheerful message can help create a positive impression, but avoid personal messages. So after checking off this list, you’ve got a buyer excited about your home and eager to see more, congratulations! Stay tuned for information about the next “first impression” — what happens when a buyer steps inside. Don’t worry about the market, and don’t try to time the market. Selling your home this year? Even though the Austin Real Estate market remains one of the strongest in the country, the truth is that you may not be able to sell your home for the price you thought you could, especially if you’ve lived in the house for under three years. And you know what? It’s okay! When you need to sell your home, you need to sell your home. Waiting another year may get you a larger profit, but will it ultimately be more stressful to wait rather than to sell now? I’ve worked with several clients recently that were fearful and confused about whether to sell their house because they weren’t going to get the return they had hoped for. I encouraged them to do what would best support them right now. In both cases, the cost of keeping the house would have been far greater on their emotional and physical health than the cost to sell it. What price do you put on an intangible benefit like peace of mind? I believe the intangible benefits of better mental health, increased energy, and less stress easily outweigh financial goals. I encourage home sellers to make peace with the idea that they aren’t going to make as much money as they may have hoped for, but weigh that with the benefits they’ll reap by making a positive change in their lives by selling their home right now.